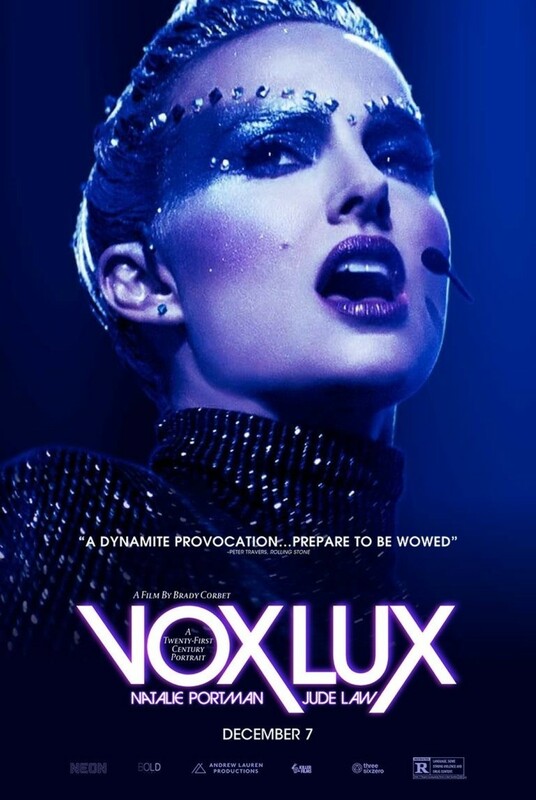 Vox Lux DVD and Blu-ray release date was set for March 5, 2019 and available on Digital HD from Amazon Video and iTunes on March 5, 2019. Celeste, a teenage music prodigy, rockets to pop stardom in 1999 in the wake of a school shooting. Aided by a talent manager and her musically gifted sister Eleanor, Celeste turns the powerful song she delivers at a memorial service into the launchpad for an international music career. By 2017, her fame has dwindled as a result of a major scandal, and now she's the mother to a teenage daughter of her own. She's also eager to make a comeback with a new science-fiction album. Her life takes a strange turn, however, when another episode of violence rocks her world. DVDs Release Dates is the best source to find out when does Vox Lux come out on DVD and Blu-ray. Dates do change so check back often as the release approaches.